The Kuhhirtenturm, or cowherd’s tower, in Große Rittergasse is a fortified Gothic tower from the last quarter of the 14th century. From early 2010, the tower was redeveloped on behalf of the City of Frankfurt; the aim was to create a Hindemith memorial open to the public. Today it houses the Hindemith Cabinet with five modern presentation rooms, bright and simple in their design. Paul Hindemith (1895-1963), one of the most important composers of the 20th century, lived from 1923 until 1927 in Frankfurt‘s Kuhhirtenturm. 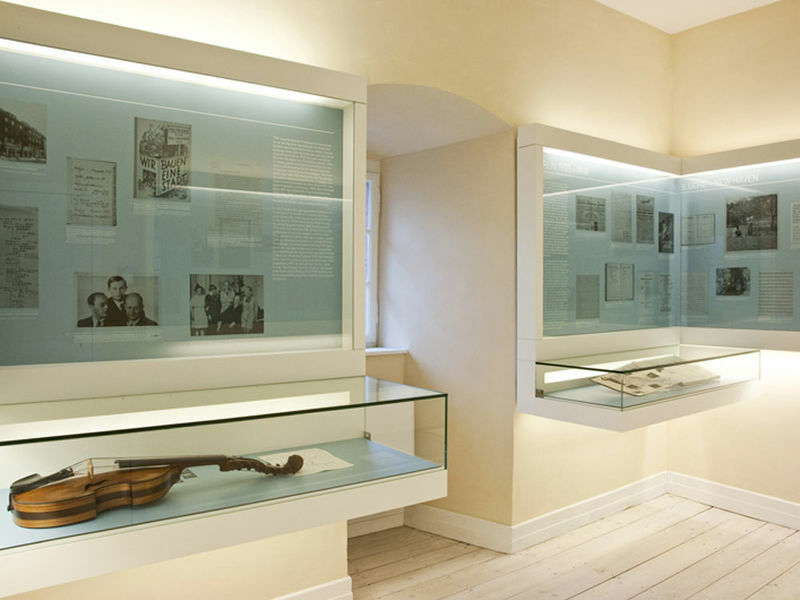 The informative Cabinet exhibition sketches a detailed picture of his life and work with numerous documents, original sound documents as well as detailed explanations. The attic room, in which the composer himself lived and which is today used as perhaps the smallest chamber-music room of the world, offers a panoramic view over the roofs of Alt- Sachsenhausen. 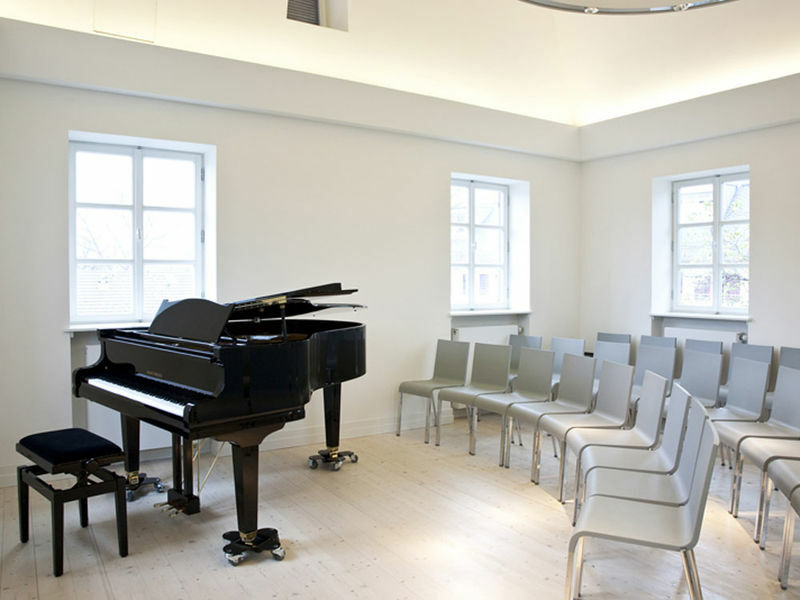 On the fourth floor of the Kuhhirtenturm is the music room, in which concerts and other events are held. Hindemith came to Frankfurt at the age of ten, and it was in this city that he began his impressive career as composer, instrumentalist, music pedagogue, music theoretician and conductor. Probably more than anyone else, he shaped Frankfurt‘s reputation as one of Europe‘s most advanced musical cities during the 1920s.